To understand how the land and environment help to shape traditions that people use in their daily lives, one simply has to take a trip to Sherman and Gilliam counties. Steep rolling hills, defined by narrow, winding ravines with swift flowing rivers, limited rainfall, and constant wind are steadfast companions of those living in the region. Over generations, people have learned how to fashion a living out of this land and how to enjoy the shear uniqueness of their place. They use the knowledge and skills passed down to them by their grandparents, parents, friends, co-workers, and neighbors to preserve a way of life that is full of history, crafts, specialized work, fun, stories, and so much more. 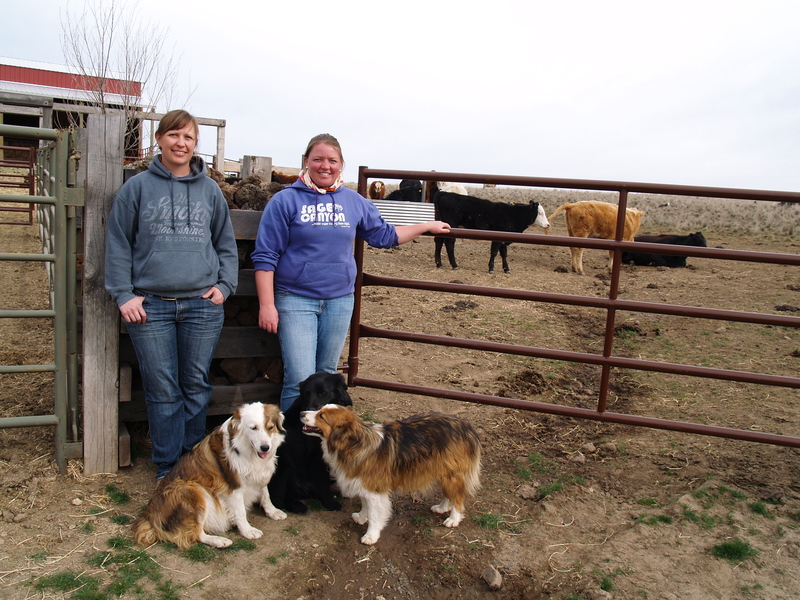 Here are a few of the ranchers and farmers who make up the population of these north central Oregon counties. Cathy Brown’s parents were wheat and cattle ranchers in Bakeoven, her father’s community. Her mother came from Dufur where her grandparents ran cattle. Cathy’s early memories of working on the ranch include typical tasks children would do such as feeding the farm animals, driving tractors, and preparing the lunches for work hands. As she got older, Cathy took on more responsibilities such as gathering the cattle, birthing calves, and eventually, doing the most technical and difficult jobs on the ranch. During her teens, Cathy was active in 4-H where she became friends with Jamie Wilson. Jamie Wilson grew up in Grass Valley on a few acres where the family kept horses, chickens, and other animals. She got her first horse when she was five years old. Her mother was from a long line of ranchers but her dad’s family moved to Oregon from Michigan. 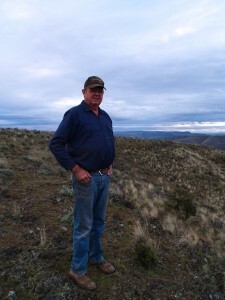 He spent his younger years near Antelope and as a young man worked for local ranchers and wheat farmers until eventually he bought a couple of ranches. 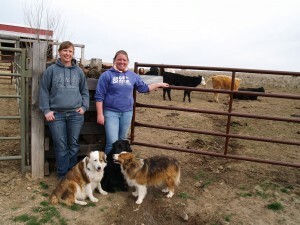 Jamie started working cattle with her dad when she was a kid. She particularly loved going with him up to the old Payne Place that he had purchased. Here, on a high ridge facing Mt. Hood and Mt. Jefferson, Jamie worked hard learning all the cowhand skills it takes to run that ranch today with her friend Cathy. After high school Jamie thought seriously about becoming a saddle maker so she attended a three-month course at Sierra Saddlery School in Bishop, California; while there, she made two full saddles. When Wilson returned she couldn’t find a saddle maker to apprentice with but she kept doing all sorts of other leatherwork including queen chaps for rodeos. 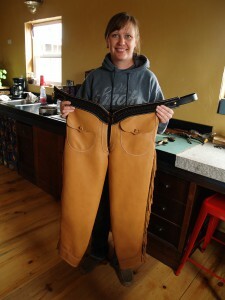 Today, she spends much of the winter months making chinks, chaps, horse tack, and many other items, mostly custom ordered. Ron Wilson works in his leather shop in the back of the Ace Hardware store in downtown Arlington. Ron’s family originally came from Pennsylvania then settled in Wallowa County where he was born. 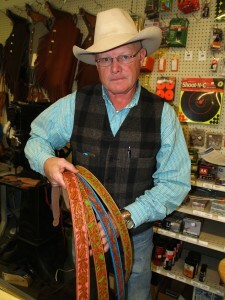 He grew up on a small farm but learned basic leatherwork from Arlene Rucker, who taught a 4-H class. Ron kept his tools and got them out during the winter months to make leather items. About 12 years ago he got back into full time leatherwork after a friend convinced him to repair something that he needed. Ron keeps busy making chaps, chinks, belts, purses, rodeo queen outfits, tack, and just about any other type of leather goods. Even though he doesn’t make saddles, he always has one or two around that he repairs for cowboys. Ron and his wife, Marta Mikkalo, are active members of the Arlington Saddle Club, which puts on the annual Arlington Jackpot Rodeo. Arlene Rucker is someone people across Gilliam County know by name, face, and reputation. Born in Nampa, Idaho, she moved with her family to Oregon during the war years when her parents came to work in the defense industry. Once grown, Arlene married a local wheat farmer with whom she’d gone to high school, and moved with her new husband to the farm where they lived for 35 years. 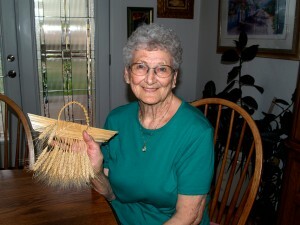 With wheat a constant in her life, Arlene took a wheat weaving class in the 1970s from Sandra Greenfield, a local Condon wheat weaver. Arlene had seen wheat weavings and thought that since she and her husband were raising it, she would like to know how do make something out of it. Many wheat weavers use wheat bought from Nebraska but Arlene insisted on making her items out of the wheat from her own fields. She also learned quilting from her mother and became so proficient that her peers now recognize her as a master quilter. Paul and Donna Bates live on Paul’s father’s farm, where Paul grew up learning farming and ranching skills. As a youngster he was involved in 4-H and did projects with pig, heifer, and other livestock breeding, and much more. In 1983, the family quit raising cattle to focus solely on wheat production. Paul has seen many changes in farming since boyhood, especially in the mechanization of farming. 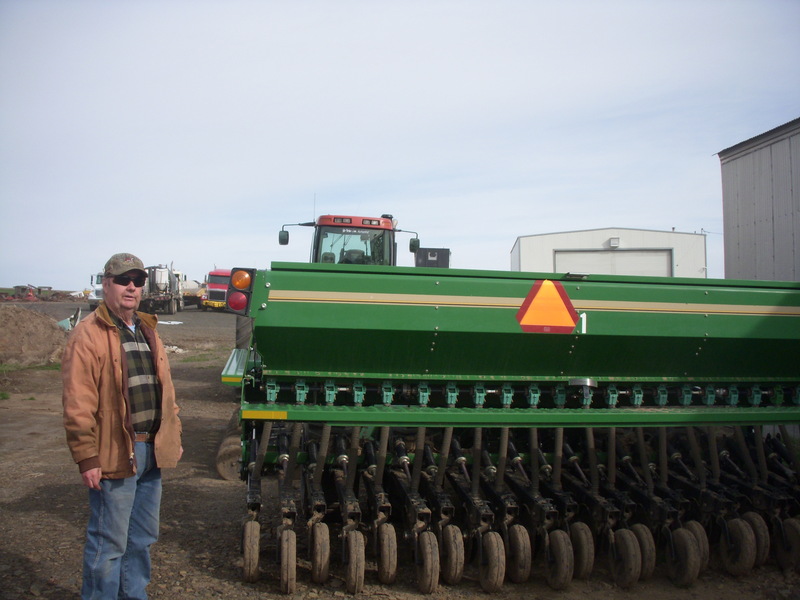 Today he has a large assortment of highly specialized equipment that he and his family use for the various stages of wheat production. During a particularly bad year, the Bates family briefly considered getting out of farming; at that time, Donna decided to diversify their income by creating a healthier snack food. After lots of trials and errors, Donna developed six different flavors of what she calls popped wheat berries. These unique products are grown and made right on the farm at her Wheat Springs Bakery. Sam Seale owns the “White Elephant Ranch,” which might sound like a strange name for a ranch located north of Condon; the story of how it got its name is part of his rich family lore. As a young man, Sam’s dad bought a piece of property to raise sheep and cattle. There were several other homesteads nearby, and during the Depression their neighbors couldn’t hang on to their ranches. Sam’s dad starting buying them as they came up for sale. Because the country there is high and dry, rendering it difficult to grow anything, his dad used to say that all those properties weren’t anything but white elephants. The name stuck. Sam has many stories about his father and his own years growing up on the White Elephant Ranch. Frank Bettencourt builds wooden miniatures of farm equipment. Bettencourt moved to Gilliam County in 1948 to work as a farmer and cowboy. He worked on someone else’s ranch until 1967 when he and his wife Garnet bought their own 2,500 acres place. In 1981, they sold their ranch and now live in Condon where Frank has a large woodworking shop in a separate building next to their house. Frank’s grandfather was a builder in Portland, and, as Frank says, he “just grew up with it.” The objects that he makes are done without patterns and come directly from his imagination. He visualizes something then makes it. Many of his pieces are replicas of equipment like combines that Frank once drove on the farm. His birdhouses often resemble old western buildings or churches; and the one in his backyard is almost an exact model of the huge grain elevator that stands directly behind his and his wife’s house. Frank’s wooden vehicles have moving parts, which leave visible the grain and uniqueness of the wood. Nancy Nusz is an independent folklorist who has been conducting fieldwork for the Oregon Folklife Network’s Columbia Gorge Regional Folklife Survey, which is funded in part by a grant from the National Endowment for the Arts, Art Works.